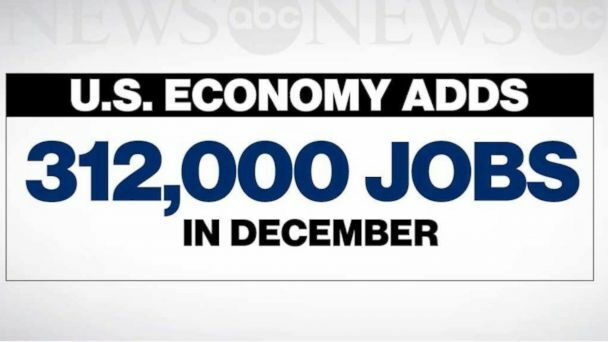 Follow the latest Stock Market news, videos, and analysis from ABC News. The markets react to the announcement of the largest jobs gain in 10 months. 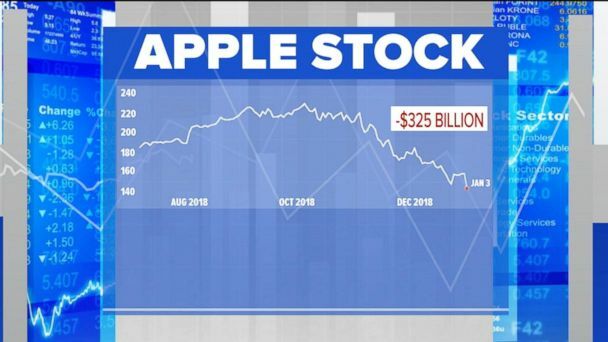 The iPhone maker's stock is down almost 10 percent, the biggest drop in a single day in six years, and the company has wiped out $325 billion in value since summer. Delta also issued a warning, making investors jittery. The Nasdaq also opened lower but the S&P 500 was slightly higher. 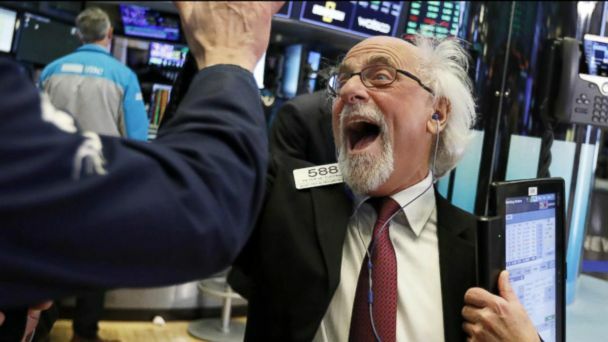 A 600-point drop the market ended the day up 260 points capped a wild week on Wall street and caused concern for investors over their 401Ks. It has been of week of historic highs and lows. 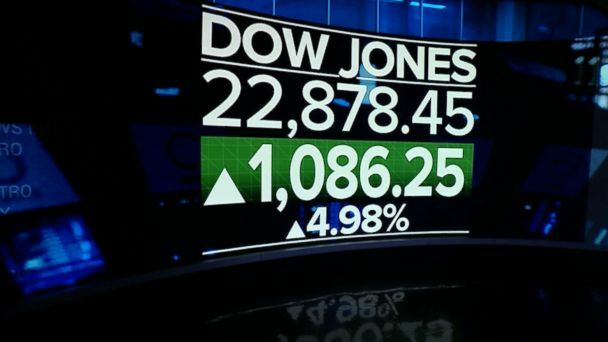 The Dow closed at 22,878, the highest one-day point gain in history. Wednesdays gains completely wiped out Monday's brutal losses. The Treasury Secretary's weekend calls to bank CEOs rattled markets worldwide. It was the second consecutive day of sell-offs after the Federal Reserve announced its fourth rate hike this year. 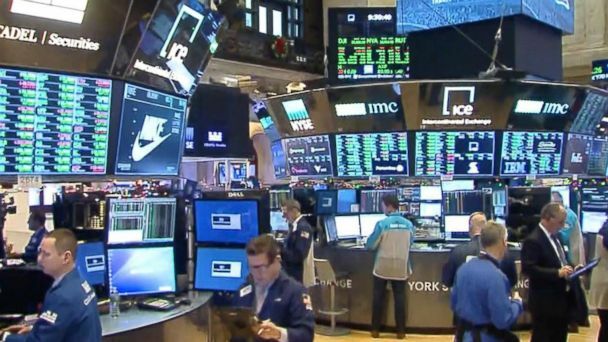 ABC News' Rebeca Jarvis reports on the ripple effect from stock market swings to consumer spending and why some traders are anticipating a recession. The brutal week had The Dow Jones shedding 4 and a half percent. Traders worried about the possibility of a trade deal after a Chinese tech mogul was arrested in Canada. The U.S. and China's trade relationship gets more complicated, Trump may have a new attorney general in mind and George H.W. Bush nears his final resting place. President Trump expressed his optimism that a deal with China could be reached to end the trade war -- a day after stock markets dove over trade woes. 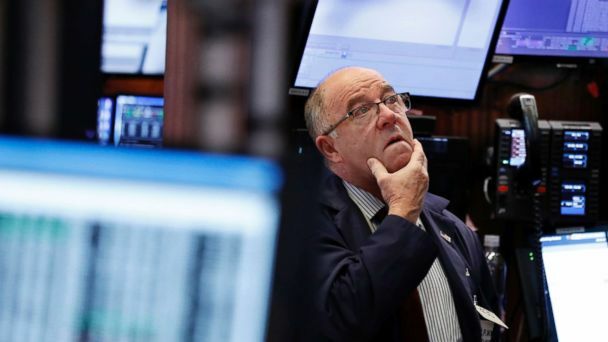 ABC News' Rebecca Jarvis reports on the stock market drop, which comes after President Trump's G-20 meeting with Chinese President Xi Jinping. The DOW dropped 551 points as 2018 gains were erased amid a massive selloff spurred by concerns over retail stores including Target. 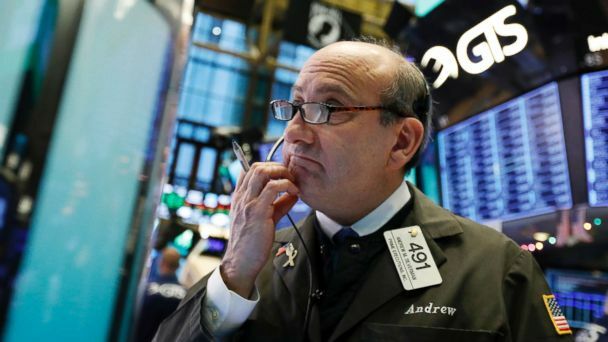 The Dow Jones plunged more than 551 points or 2.2 percent on Tuesday, dragged down by disappointing Target news. 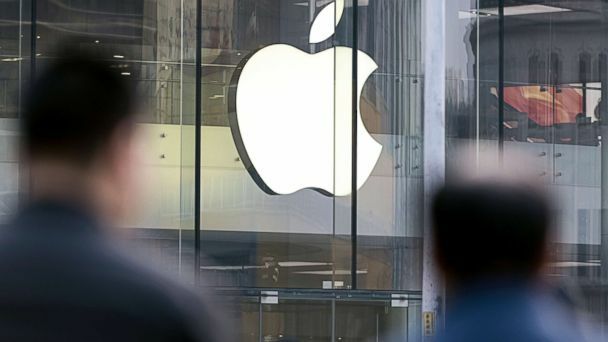 Stocks fall amid rough retail results and weakness in the tech sector. The Dow was dragged down by disappointing Target news and a tech slump. All of the indices ended down. It was dragged down by tech stocks. Bull market breaks a new record on Wall Street. So what's a bull market? Stacey Cunningham will become the 67th president of the New York Stock Exchange, marking it the first time it will be led by a woman. The Dow dropped more than 550 points after President Trump threatened more than $100 billion in new tariffs against China, saying Americans will face "a little pain." Amazon was down more than 5 percent after a Twitter attack by President Trump. Early Monday, it was announced that China raised import tariffs on U.S.-produced pork and fruit, as well as other products. China announced it may retaliate after President Trump announced tariffs against the country. The Dow fell more than 700 points amid fears of a trade war with China. Despite surges in stock prices for U.S. steel and aluminum companies, American manufacturers may now have to pay more for materials, which could mean price hikes for consumers. 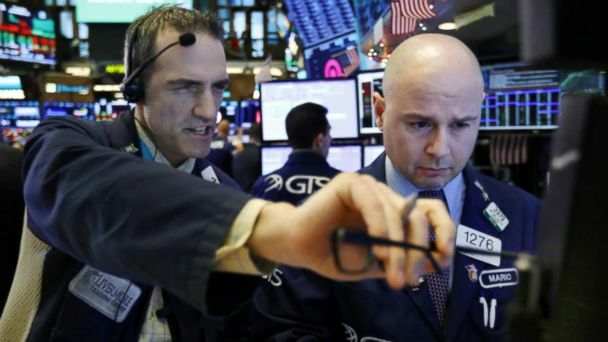 The Dow Jones Industrial Average dropped 420 points to close at 24,608. Stocks took a tumble after the president's announcement. The Dow rallied more than 300 points with a dramatic buying spree at the closing bell. 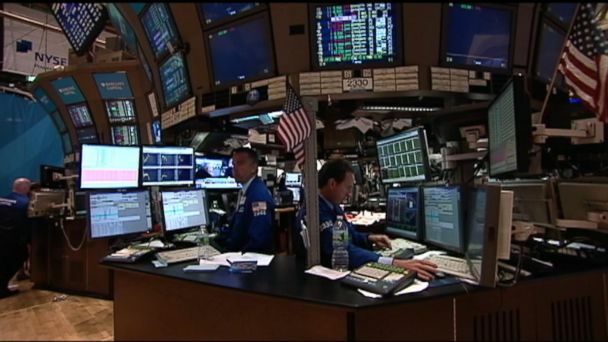 The markets were hit for a second day this week after a thousand-point drop in the Dow Jones Industrial Average.